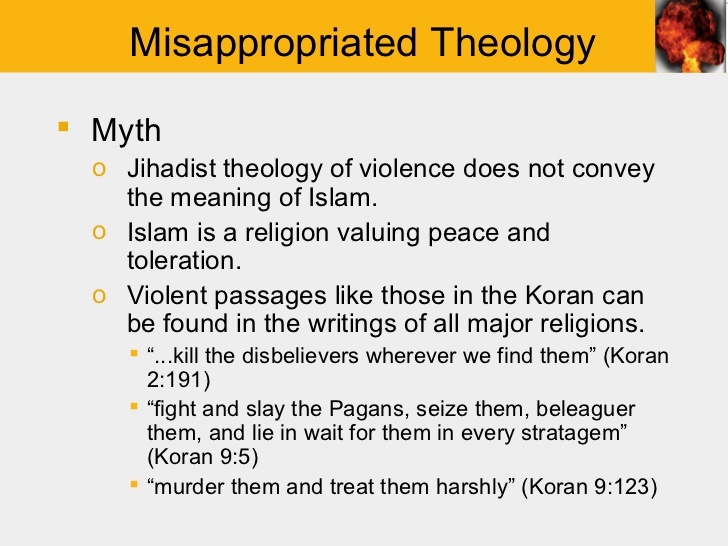 However what Muslims do not tell you is that the Quran abrogates verses. This means the later verses supercede or replace the earlier verses. 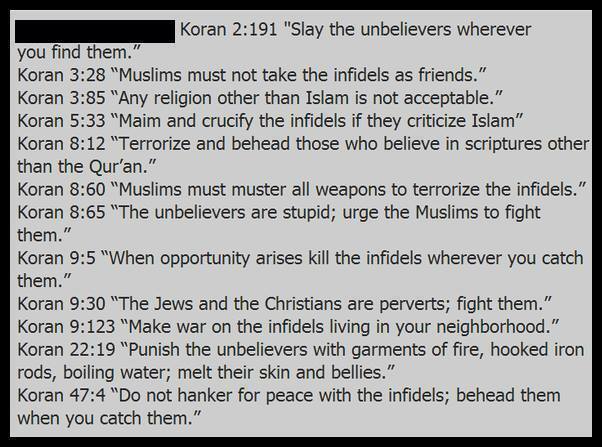 So while these earlier verses Muslims love to quote to prove that Islam is peaceful and non-hostile to those who aren't hostile to them, ALL these verses have been replaced by later verses that call for war and jihad. 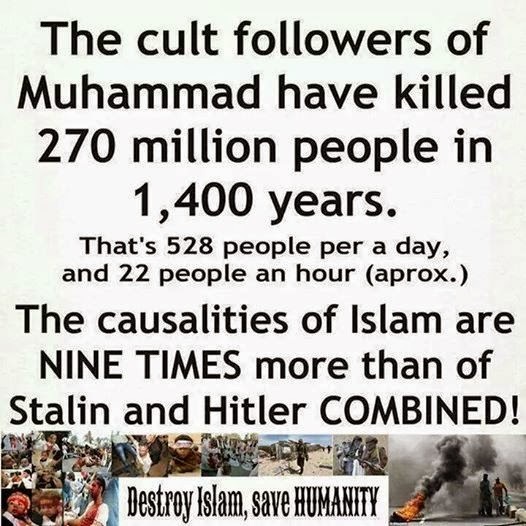 Currently the quran has over 300 verses calling for WAR or struggle (aka JIHAD) against heathens. 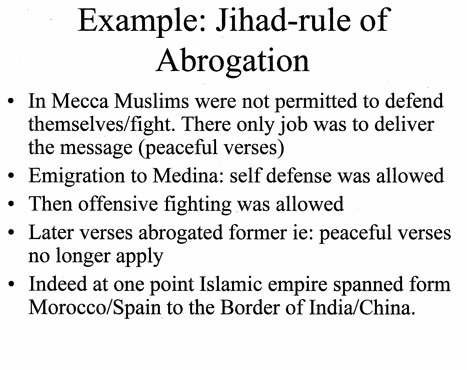 This idea of abrogation itself is contrary to the Quran, which says. 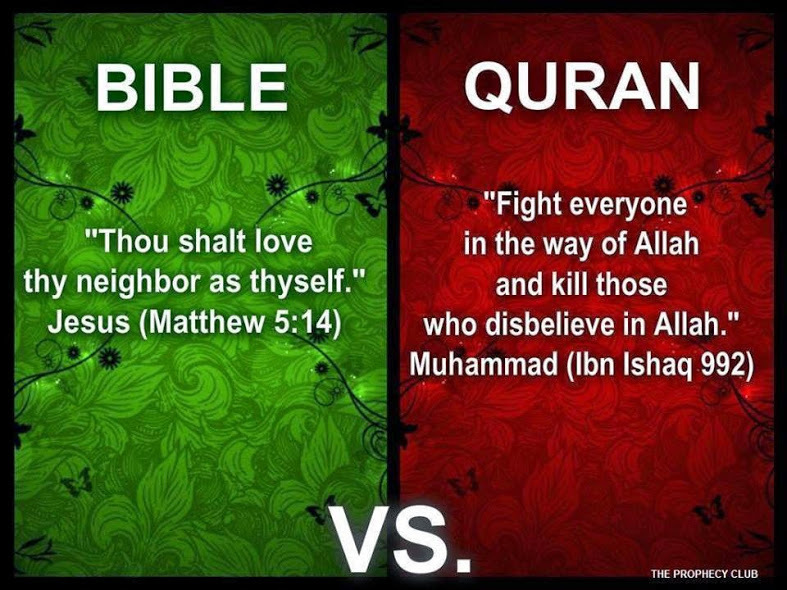 But obviously Allah's words are not constant, unlike what the Quran would like to say. 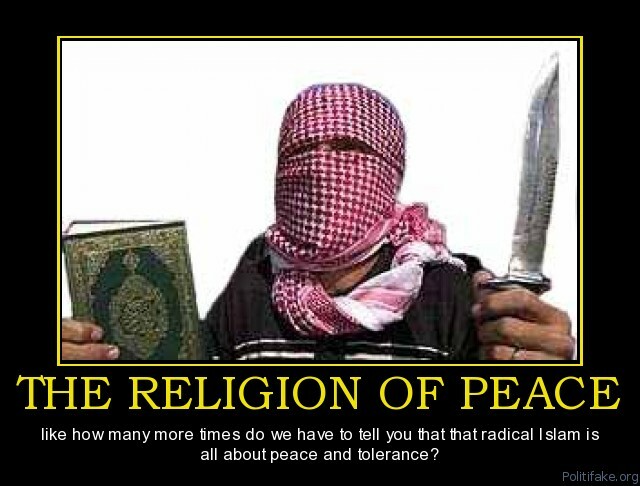 But lets see what verses abrogate(replaced) the verses of peace and see if the even stay peaceful? 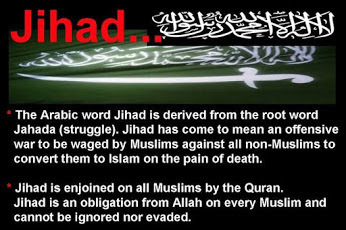 An-Nasikh -wal- Mansukh, by Ibn Khuzyamh states 113 verses are abrogated by the Sword verse (9: 5), and 9 verses are abrogated by the Fighting verse (9: 29). 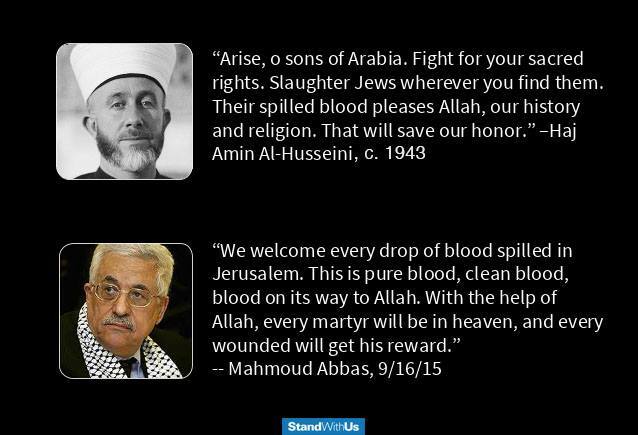 So in all 122 peaceful verses have been annulled and replaced by these 2 war verses alone. Also you will notice these two verse are not preaching self defense but offensive war of conquest. 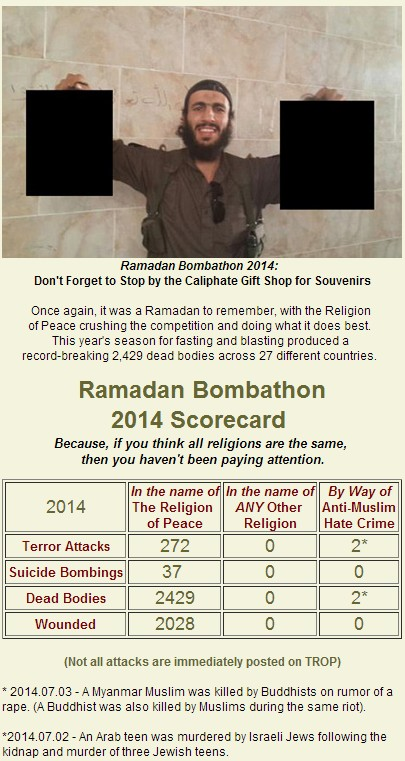 This abrogation alone proves that Islam is not peaceful for if you remove all its peace verses what are you left with? The war verses. 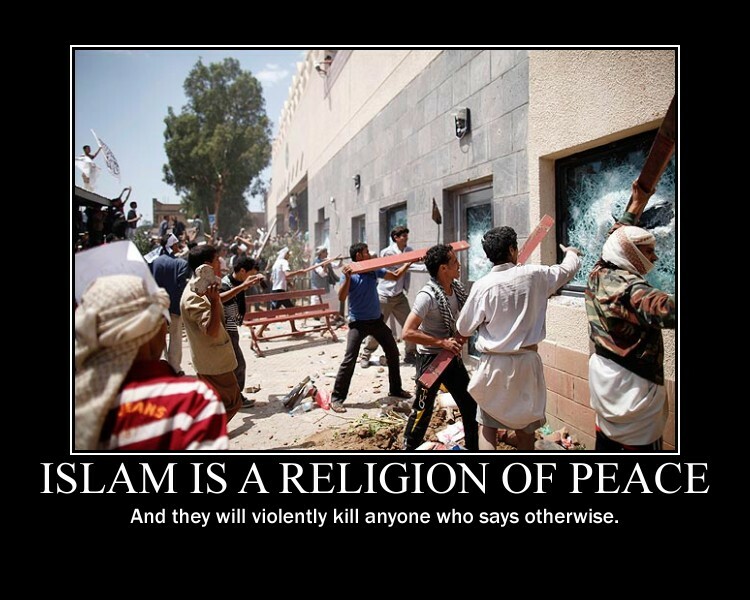 Hence Muslims should never be believed when they claim their's is a peaceful religion. So obviously Allah's word is no good as it can constantly be changed and abrogated whenever he or his prophet felt like it. 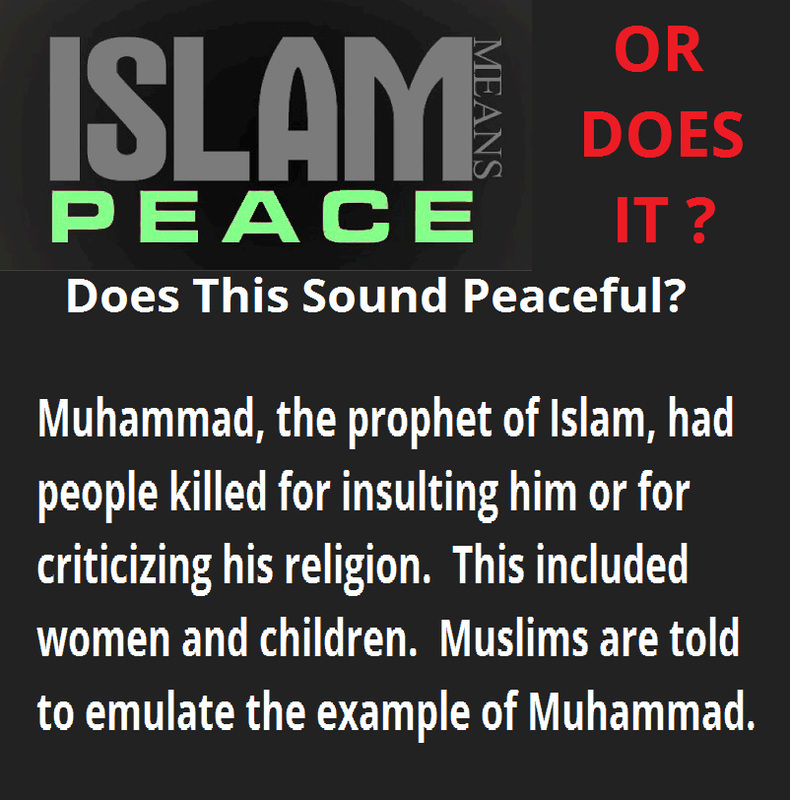 Not only that any peaceful verses Islam might have started out with have been replaced with 2 Sword verses. 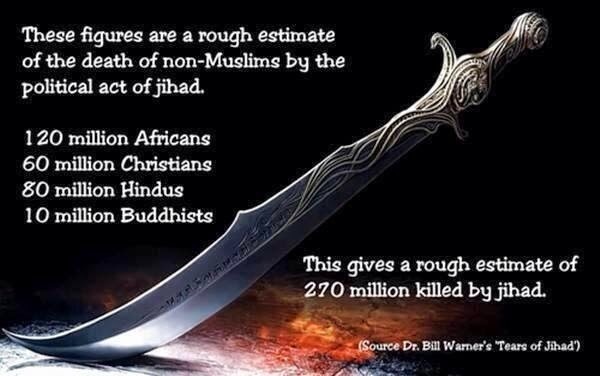 The sword verses don't even call for self-denfense but rather an offensive war where Muslims are to hunt down anyone who isn't Islamic and kill them. 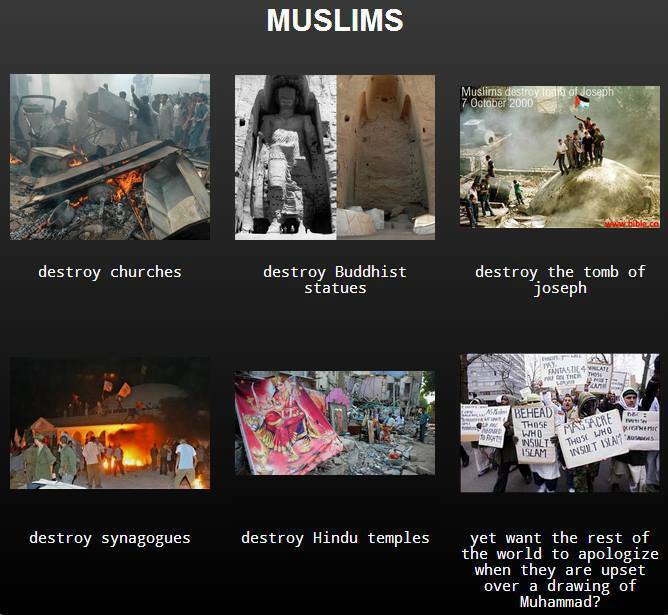 What a fickle god Allah is. 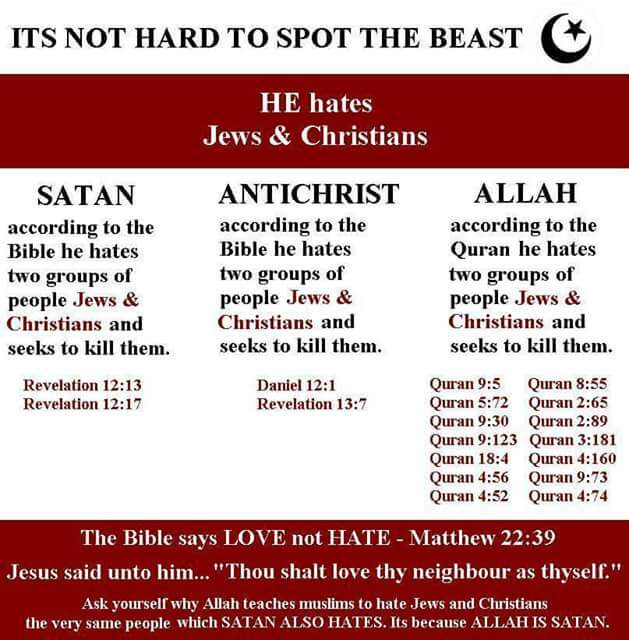 Of course this isn't surprising knowing that Allah was the pagan Arab moon god, who is unknowable and has several mischievous names one of which is 'BEST DECEIVER'. I don't know about the rest of you but I'd rather be devoted to a god that's much less unpredictable, unknowable, mischievous, and deceptive. 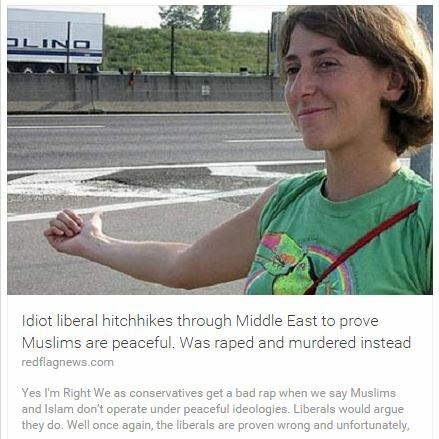 Fortunately there is the God of Israel out there that is the polar opposite to Allah, who can NEVER LIE. This God of Israel, unlike Allah who only claims in words to be merciful and loving, actually demonstrated His love by sending His son to die in our place so that we would have forgiveness and assurance on spend eternity with Him in Heaven, free of any effort of our own. Won't you accept this free gift from a truly loving and merciful God by believing in Jesus as your savior today? Pray this prayer and start believing KNOWING not just hoping that you have eternal life with God.